When you think Snapchat, you think original Web series from the children of established Hollywood executives. No wait, you don’t. 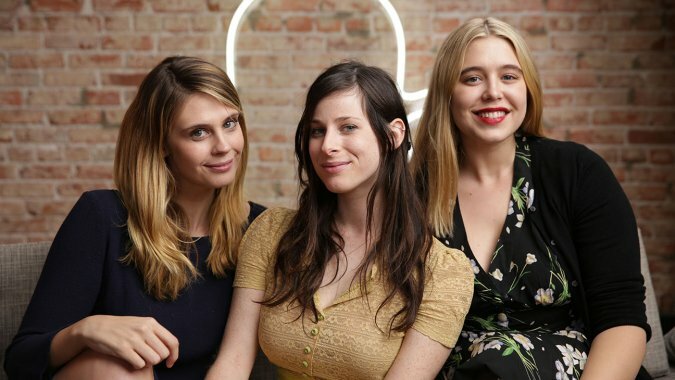 That doesn’t matter, because The Hollywood Reporter reports that the app that brought you embarrassing photos of your friends is launching a Web series helmed by Sasha Spielberg and Emily Goldwyn, daughters of director, producer Steven Spielberg and producer John Goldwyn. The weekly show — titled Literally Can’t Even — will be written and star Goldwyn and Spielberg as themselves. Each episode will last approximately five minutes and will disappear after 24 hours. Snapchat launched the Discover feature earlier this week for its app with partners like Vice, CNN and ESPN. It’s a play to expand the Snapchat feature set beyond just sharing with friends and hopefully figure out a way to actually make money. The Web series expands on that by putting Snapchat in charge of its own content. It’ll be interesting to see how it works out.